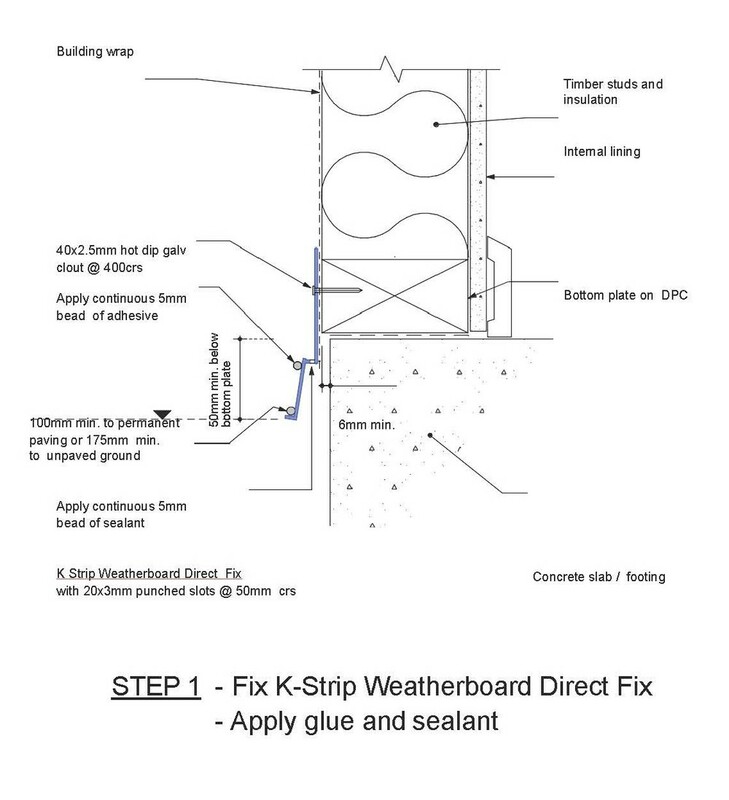 K-Strip Weatherboard Direct fix is a simple fast and accurate way to fix the bottom weatherboard too as well as providing a cant strip. The K-Strip provides support for the bottom weatherboard doing away with the time consuming task of installing a cant strip or wedge's to the weatherboard. It also closes off any gap that would allow vermin to get in. The bottom edge on the K Strip provides a starting point for the bottom weatherboard doing away with the need to use a string line to get the bottom weatherboard straight. It is the only weatherboard starter that can be used to fix the bottom weatherboard to the building. With all these benefits the labour saving is substantial. Then apply a continuous 5mm bead of sealant/adhesive to the bottom corner and a bead near the top of the support face that the weatherboard fits against. Ezy Build Products recommends using Bostik MS Safe Seal.